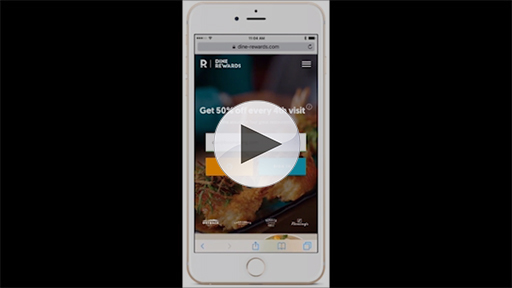 Today Bloomin’ Brands, Inc.® (NASDAQ: BLMN) officially launched Dine Rewards™, the first nationwide loyalty program in casual dining to offer rewards across multiple restaurant concepts. After just three visits to Outback Steakhouse®, Carrabba’s Italian Grill®, Bonefish Grill®, or Fleming’s Prime Steakhouse & Wine Bar®, guests can earn 50 percent off* on their fourth visit. The program gives the flexibility to choose when, where, and how they want to dine while earning rewards and there’s no cost to enroll. 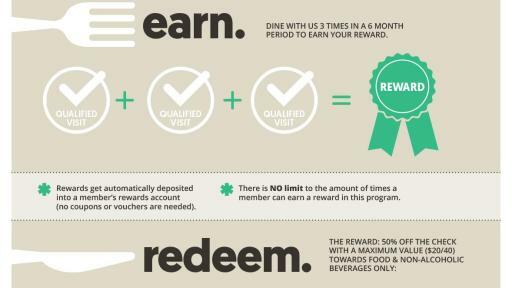 Research shows that 75 percent of consumers would like to have one rewards program membership that was honored at multiple restaurant chains1. Dine Rewards™ was designed with that in mind and to meet the needs of frequent guests with busy lifestyles. The program provides an answer to the age-old question “What are you in the mood to eat tonight?” by offering a variety of options that fit into any craving or schedule: whether you need a meal to go, want to have a great family dinner, or are long overdue for a fine dining date night, guests can now enjoy their favorite restaurants while accumulating rewards. Dine Rewards™ is free to join and the rewards begin immediately. After signing up online, members will receive an incentive of $5 off* at Outback Steakhouse®, Carrabba’s Italian Grill®, or Bonefish Grill®; or $10 off* at Fleming’s Prime Steakhouse & Wine Bar®. Earning rewards is easy - when visiting a participating restaurant, guests can just let the server know that they are a Dine Rewards member and provide the phone number associated with the account to receive credit. To learn more about Dine Rewards™ visit https://www.dine-rewards.com/, enroll and let the rewards begin! 1 Loyalogy is an independent company focused on providing loyalty-marketing, data analysis and research services. *For full program terms and conditions, please visit https://www.dine-rewards.com/terms-and-conditions. Offering authentic Italian cuisine passed down from our founders' family recipes, Carrabba's uses only the best ingredients to prepare fresh and handmade dishes cooked to order in a lively exhibition kitchen. Featuring a wood-burning grill inspired by the many tastes of Italy, guests can enjoy signature dishes, including Chicken Bryan, Pollo Rosa Maria, Wood-Fire Grilled Steak and chops, all new dishes like Chianti Chicken and new Small Plates and classic Italian Pasta dishes in a welcoming, contemporary atmosphere. Carrabba’s consistently ranks as a favorite for Italian and Casual Dining in the Consumer Picks Survey by Nation’s Restaurant News. 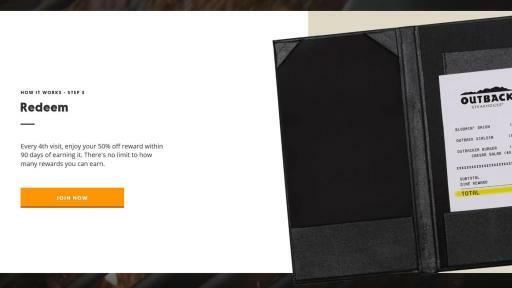 For more information, please visit www.Carrabbas.com, www.Facebook.com/Carrabbas or www.Twitter.com/Carrabbas. Bonefish Grill specializes in market-fresh fish from around the world, savory wood-grilled specialties and hand-crafted cocktails. Guests receive "chef's coat service" and are guided through an innovative, seasonal menu and specials featuring the highest-quality and fresh ingredients. The Bonefish experience is based on the premise of simplicity, consistency and a strong commitment to being incredible at every level. Bonefish Grill is a Consumer Picks Best Seafood Award Winner, recipient of a 2015 MenuMasters Award by Nation's Restaurant News, and the 2016 Technomic Consumers' Choice Awards food quality winner. For more information, visit www.bonefishgrill.com, www.Facebook.com/BonefishGrill, follow on Twitter @bonefishgrill and on Instagram @bonefishgrill. Nationally acclaimed Fleming's Prime Steakhouse & Wine Bar offers the best in steakhouse dining – Prime meats and chops, fresh fish and poultry, generous salads and side orders — with a unique wine list known as the Fleming's 100®, which features 100 wines served by the glass. Fleming's was launched in Newport Beach, California, in 1998 by successful restaurant industry veterans Paul Fleming and Bill Allen. Today there are 66 restaurants nationwide and one in São Paulo, Brazil. Fleming's is the recipient of numerous prestigious awards, including Wine Spectator's annual Award of Excellence. For more information about Fleming's Prime Steakhouse & Wine Bar and the Fleming's 100®, please visit www.FlemingsSteakhouse.com. Bloomin' Brands, Inc. is one of the largest casual dining restaurant companies in the world with a portfolio of leading, differentiated restaurant concepts. The company has four founder-inspired brands: Outback Steakhouse, Carrabba's Italian Grill®, Bonefish Grill, and Fleming's Prime Steakhouse & Wine Bar. The company owns and operates approximately 1,500 restaurants in 48 states, Puerto Rico, Guam, and 22 countries, some of which are franchise locations. 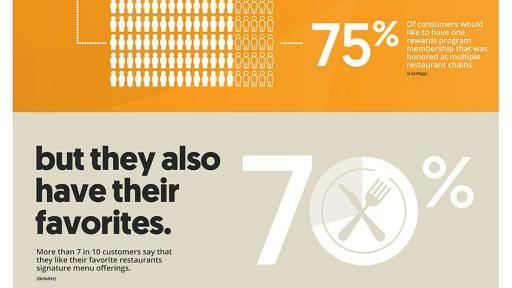 For more information, please visit www.bloominbrands.com. Director of Media & Community Relations, Bloomin’ Brands, Inc.